Thanks for visiting the website of Riolo Orthodontics! 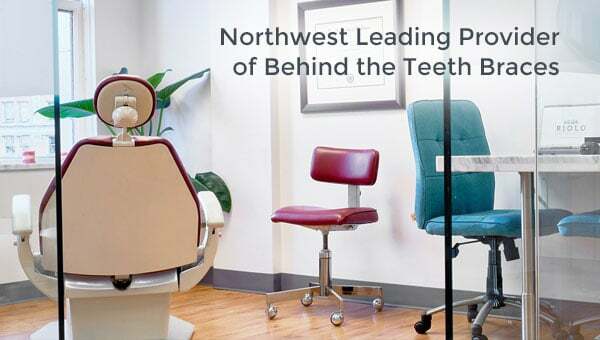 Board certified Seattle orthodontist Dr. Christopher Riolo at Riolo Orthodontics is the Pacific Northwest's largest provider of Lingual braces behind the teeth, (such as Incognito and Sure Smile lingual Braces) these are the only truly invisible braces. We employ a number of different lingual orthodontic systems including Incognito, Sure Smile and Harmony. In addition we offer other aesthetic orthodontic appliance such as Invisalign. Seattle orthodontist Dr Christopher Riolo's use of different custom lingual bracket and clear aligner systems enables us to choose the best system for each patient. This ability to choose the best aesthetic system for our patients allows us to deliver the highest quality treatment at the lowest possible cost. Seattle orthodontist Dr. Christopher Riolo understands your smile is a feature that makes a big statement about you. We combine Dr Riolo’s 20 years of orthodontic experience with the industry’s cutting edge technology. Dr Riolo is an expert in custom orthodontic systems with both the clinical and academic background to ensure that you and your loved ones will get the best possible care in our office. We offer convenient weekend and evening hours. We understand that it can be very difficult to find time for regular appointments, so we offer extensive evening and weekend hours; our goal is to make excellent orthodontic treatment both affordable and convenient. Our treatment suite includes discreet, "barely there" alternatives to traditional braces, including Invisalign clear aligners. 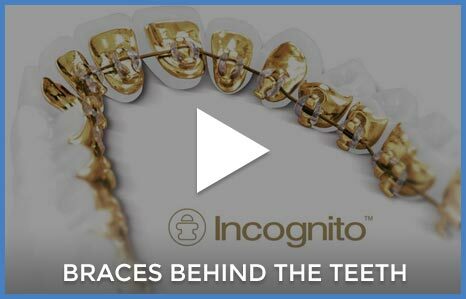 And did you know Riolo Orthodontics' is the Northwest's top provider of Incognito "behind the teeth" braces? Learn more here. We were the first practice to offer 3D digital scanning using the new True Def intaoral scanner on the west coast. This technology allows use to not only increase precision but to eliminate messy impressions. We now have the ability to produce exact digital models for each of our patients that shows their teeth after orthodontic alignment. We utilize the most advanced diagnostic and treatment techniques available today including 3D Imaging. This allows us to more accurately evaluate and diagnose your treatment than with traditional two dimensional x-rays. We make orthodontics affordable with easy payment options to meet your needs. Including interest fee “in house” financing as well as extended financing through Care Credit. Feel free to browse our website to learn more about who we are, and what we do. Our blog, especially, contains useful information. When you’re ready to take the next step toward orthodontic treatment, please contact our one of our two convenient locations in Seattle for your complimentary orthodontic consultation, and get ready to start smiling! We proudly serve the surrounding areas of Bellevue, Mercer Island, Madrona, South Lake, Bellevue and Mercer Island. Lingual Orthodontic, Digital Technology in Orthodontics, Custom Orthodontic Appliances. Jan. 31st – Feb. 3rd, 2019 Topic: Digital Orthodontics: Adding value to the care we offer our patients. Check out the 2019 AAO meeting in LA.